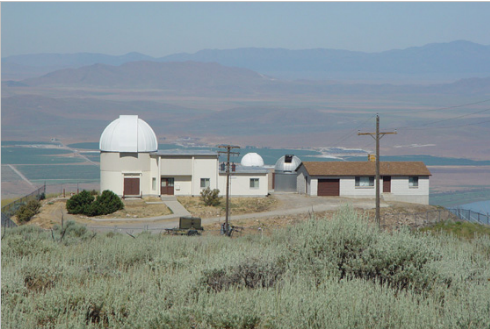 As part of the NSF PREST grant (NSF AST-0618209) we had opened access to the 0.9-m telescope at the West Mountain Observatory. The matching time has been completed, but we will still consider applications to use the 0.9-m or other BYU telescopes. Generally time would be awarded for observations between April and September each year. Observing time from October to March is extremely limited and only available on the directors approval. An internal TAC committee will review requests as they are submitted. Currently we do not have formal deadlines for observing semesters. Requests appropriate to our 0.3-m and 0.5-m West Mountain telescopes, the ROVOR 0.4-m telescope, and the campus 0.4-m David Derrick telescope will also be considered. To request observing time on any of the BYU telescopes please follow the link below. There you will find a LaTeX file that can be completed and compiled. We are in the process of developing the rules and policies section for the observatories, so if you have questions please contact one of the astronomy group members listed below. Please be aware that we are currently working primarily, if not exclusively, in service observing mode. Any request to be onsite would require a great deal of justification. In addition, current plans are to open access to all data after a proprietary period of 6 months. This period begins after the end of an observing program. Finally, during the first full summer of operation we wish to limit equipment changes to the telescope. Information about the basics of the telescopes, cameras and filters can be found on the 0.9-m telescope link given to the left. Again if additional information is required please contact those listed below. This material is based upon work supported by the National Science Foundation under Grant Number (AST-0618209). Any opinions, findings, and conclusions or recommendations expressed in this material are those of the author(s) and do not necessarily reflect the views of the National Science Foundation.